I finally have some finishes to show you! Over the next couple of days I'm going to share projects that I will be teaching as classes at Patchfinders in Poynton. The shop has moved premises and we are having our opening day tomorrow Tuesday September 1st. There are giveaway goodies too so come by if you can! 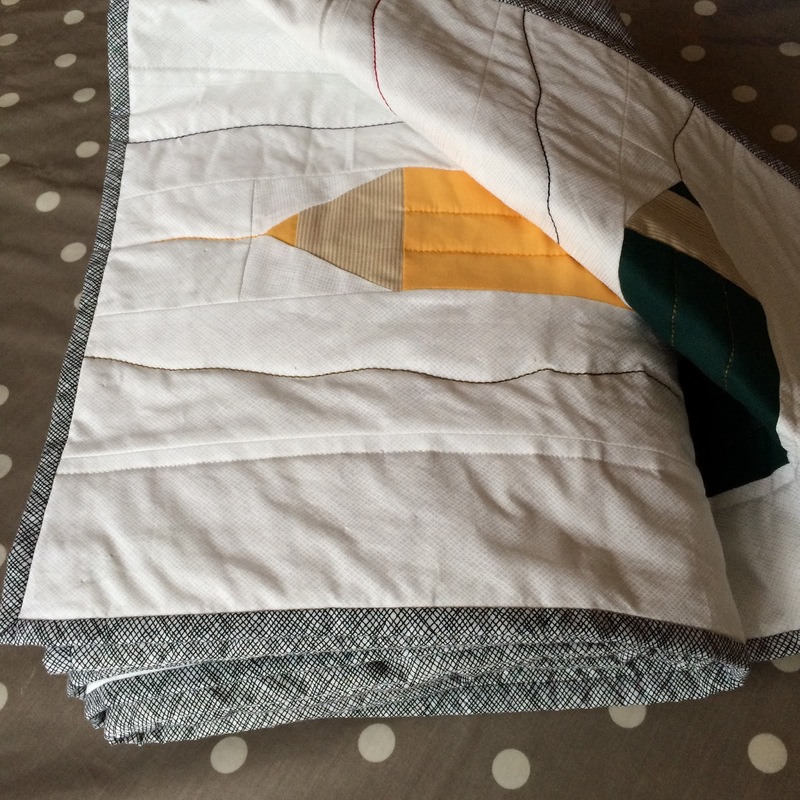 The quilt is perfect for children or artists! I quilted it with 12 weight Aurifil thread, to get those fun 'drawn' lines and to add texture to the pencils. I will be teaching my Coloured Pencils Quilt class on Friday 9th October, all the details of my classes will be posted HERE. See the Patchfinders website for a list of all the classes and how to book. Neat pattern! Have fun teaching! Very cute design Lucy! The wavy pencil lines of the quilting are just perfect! A very fun design for a quilt, Lucy. 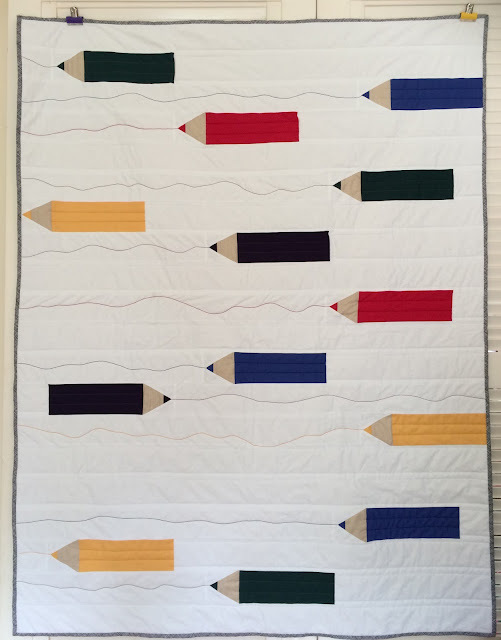 Super quilt and what perfect fabric for the woody bit of the pencils, clever you! What a cool quilt, I can see why your kids love it! I love your design, Lucy! I'm "across the pond" and can't take your class (boo!) but would buy the pattern if it's available. Have fun teaching this! Oh Lucy - this is so fun! I wish I could come to your class! Have fun! What a great idea for a quilt! This is so cute! I'm visiting as a member of the official 2015 Finish-Along cheerleading squad.